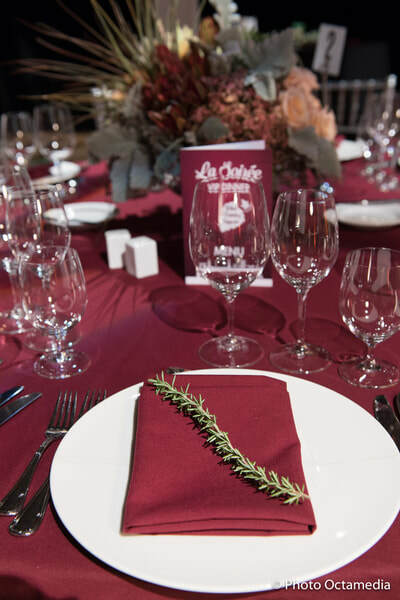 ​The guests have experienced the magic of La Soiree's VIP dinner. 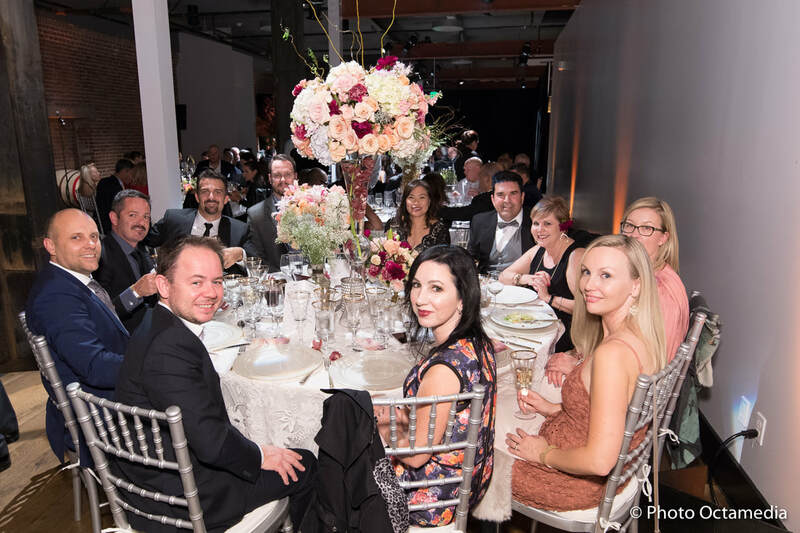 Each table, treating 10 guests, was prepared by a dedicated designer. 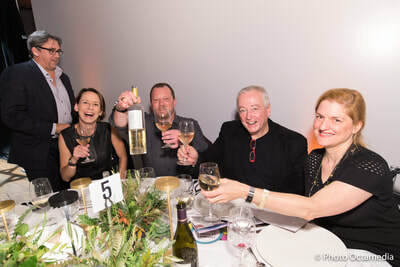 Our incredible and talented Chefs this year blew the guests away with a uniquely designed 4-course menu just for you! Chef Roland Passot grew up in Lyon, the culinary capitol of France, and began cooking as an apprentice at the age of fifteen. Trained by some of France’s most famous chefs, Passot soon became an assistant sous-chef to Chef Jean Paul Lacombe, the two Michelin star chef of French Gastronomic institution Léon de Lyon. As a young man, Chef Passot crossed the Atlantic to spend four years cooking in Chicago at Le Francois, before being hired away to open The French Room at the legendary Adolphus luxury hotel in Dallas. 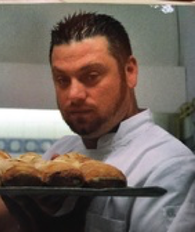 There, Chef Passot earned national accolades for his cuisine, which he served to both Hollywood celebrities and European royalty. After a brief stint at the renowned Chez Michel in San Francisco, Chef Passot opened his own groundbreaking and distinctive restaurant in 1988, La Folie. where his clientele will still find him in the kitchen, cooking each dish, every night of the week. 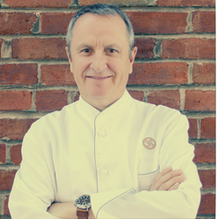 Unlike other celebrity chefs, Roland Passot is a hands-on gastronome intimately involved in the daily running of his restaurant. 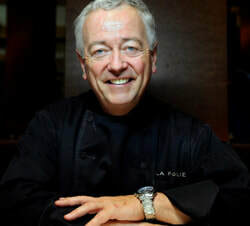 Cooking at La Folie is his life’s passion. Come join us and see why Chef Passot has earned his reputation as maestro d’ cuisine and reaps overwhelmingly positive critical acclaim year after year. Chef Roland has been awarded the James Beard Award for Best Rising Star Chef in 1990, James Beard Best Chef in California 2005-2007, Inducted into the Maitres Cuisinier de France in 1991, Best Food and Best French Restaurant by Zagat in 2002, Best French Restaurant in 7x7 Magazine, 4-starts by the San Francisco Magazine, 4-stars by the San Francisco Chronicle, 1star by Michelin 2006, and has been on the Top 100 Restaurant List since 1998 (when it was first published), in the San Francisco Chronicle. ​Gerald Hirigoyen, chef owner of Piperade and Bocadillos, has been living in the Bay Area for over 30 years. 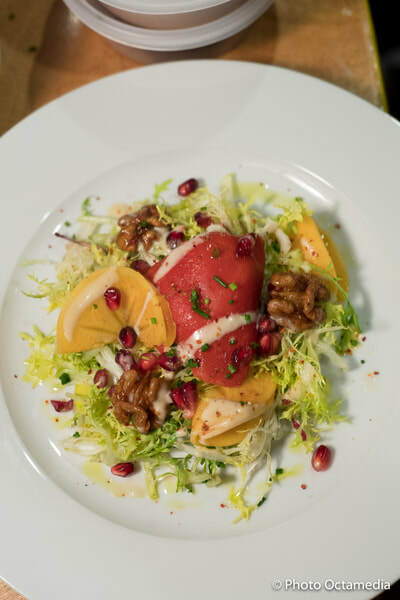 His "West-coast Basque cuisine" marries the culinary heritage from the Basque region of France with the local spirit he has found here in San Francisco. He revisits simple dishes with fresh ingredients to create scrumptious compositions in a very personal, authentic style. Chef Stephen has been living in the Bay Area for more than 20 years and owns Le Comptoir, a French Bistrot, Rotisserie, and Epicerie inspired by French cuisine traditions and methods located in San Rafael, as well as Gamine located on Union Street in San Francisco, a lively neighborhood bistrot celebrating rustic pleasures from France. 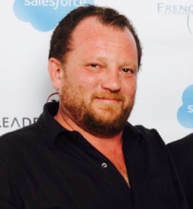 ​Nick is the owner of Bisou, french restaurant, serving French cuisine with a Californian accent. 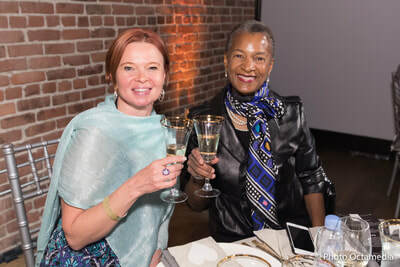 Bisou is part of a movement called Bistronomy, where the focus is on using organic locally grown products served with style, in a casual and familial environment. We want the guests to forget about their Monday to Friday life, to stop thinking for a couple of hours and let us do the rest. 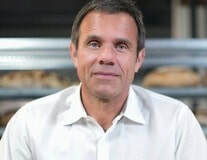 ​La Boulangerie de San Francisco has been operating in the Bay Area since 1995, founded by French baker Pascal Rigo as La Boulange. We strive to bring a little taste of France to every customer everyday. Using only the freshest all-natural ingredients, everything we serve is made daily from scratch, from the breads and the pastries to the sauces and the salad dressings. A neighborhood staple that is warm and inviting and committed to being an important part of our communities by being socially and environmentally responsible neighbors. Alter Eco is a pioneer of fair trade and organic foods carefully crafted to entice people’s senses. All Alter Eco products are USDA Certified Organic, Fair Trade Certified, Carbon Neutral Certified, and Non-GMO Project Verified. 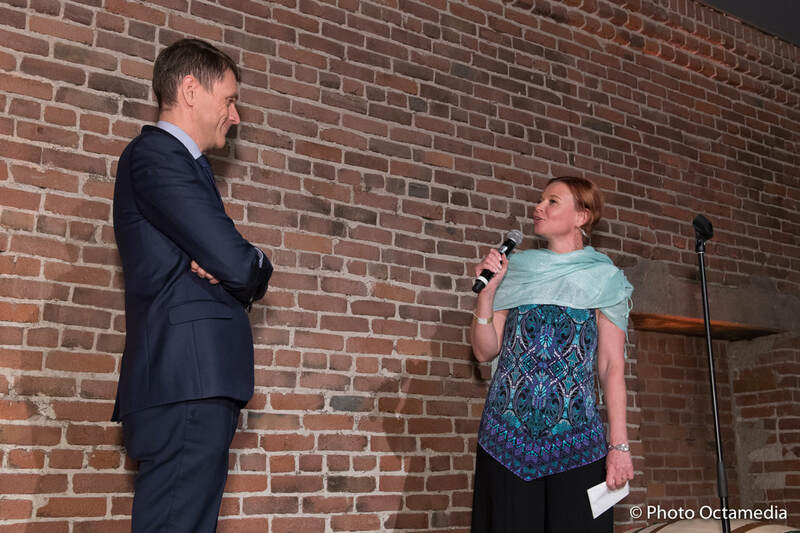 Recognized as a top certified Benefit Corporation and one of the first registered Public Benefit Corporations, Alter Eco is dedicated to full-circle sustainability throughout its operations and supply chain. Sarmentine is a French bakery in Santa Rosa. All the baked goods are made daily from scratch with only organic ingredients. From classic french baguette and traditional croissant to Bordeaux specialty Cannelés, everything is hand-made and hand shaped. A slice of France in Sonoma County ! 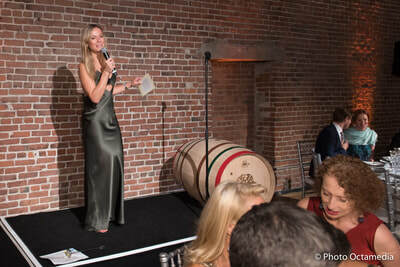 Native to Mendocino County, Scharffenberger has been pioneering premium California sparkling wine since 1981, using exclusively pinot noir and chardonnay grapes sourced from its own 120 acres of vineyards and select surrounding vineyards. ​Scharffenberger grapes benefit from the cool, coastal breezes of the Pacific Ocean and deep soils and sunshine emblematic of the Anderson Valley's terroir. Welcome to Bells & Bloom! Flowers are our passion and with them we believe dreams can be arranged. At Bells & Bloom we take on a different approach to floral design and servicing. 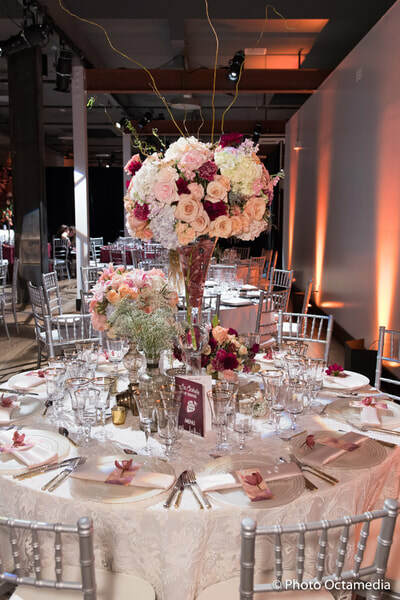 When it comes to arranging for a special event, a ceremony, wedding, or business, we commit ourselves to working with the aesthetics, style, and vision of our clientele in order to create the most exquisite floral designs. We are passionate about our products and to deliver an experience that goes beyond transactions. We love guiding our costumers to choose the right arrangement design using a perfect color palette, style, seasonal flowers and imported sources as well. We are been in business for five years where we have helped hundreds of couples and families who have held their events anywhere from San Francisco's City Hall to private venues. Our reviews speak on our behalf and we are very proud of the small part we have played in our clients’ special day. Bright on Presidio is a lighting store in San Francisco specializing in modern European design for the home and for commercial spaces. 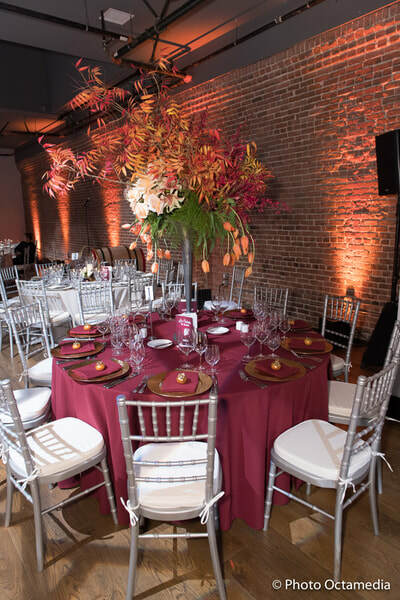 Glorious florals, event design & production for weddings and special events. We love weddings, events & parties! Creative, passionate, personalized service, attention to details, flawless execution. Established in April 2011, Sassy Diva Designs and Events is a small boutique company based in Redwood City. Beth, the Sassy Diva, has a background in theatre and art and loves being given challenging and artistic projects to work on. What is a Sassy Diva, you may ask? Well lets break it down a bit; SASSY- adj. to be lively, bold, full of spirit; cheeky. DIVA-an admired, glamorous, or distinguished woman. So thats me. The Sassy Diva. But don't let the name fool you. I can do classy, sassy, whimsical and affordable events and floral designs.